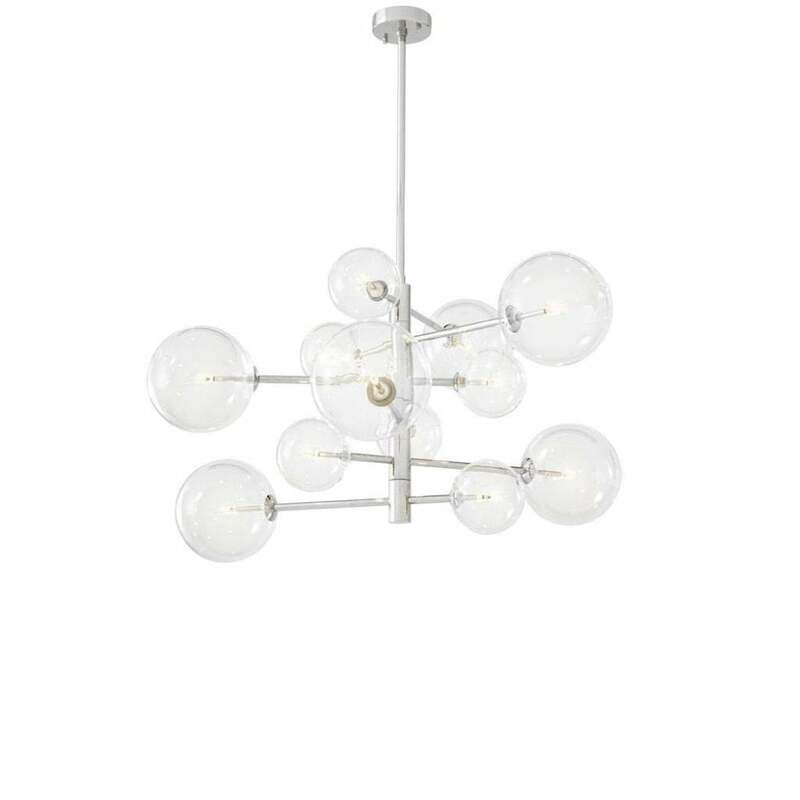 This modern take on a classic chandelier is inspired by mid-century modern interiors from the 50’s and 60’s. The asymmetrical frame resembles beautiful star constellations in the night sky. Finished with either antique brass or nickel metal, the Argento S Chandelier by Eichholtz has a retro style that works beautifully with modern interior schemes. The chandelier is fitted with varying sizes of glass spheres, creating a layered look that creates a warming glow. Position over a dining table or in an entranceway to create a statement look that exudes mid-century modern glamour. Also available in a larger size, make an enquiry for more information.